Merry Christmas to all our Pilgrim Scribblings readers. 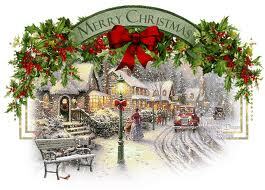 May God's peace be yours today as you remember the birth of His only begotten Son, Jesus! The same to you! Many blessings to you and to your loved ones. Danny, his wife and new born baby are here with us this Christmas. What a joy to be a grandma!!!! !